Part of the History of Magic are hundreds of magicians and illusionists who have gained fame and success as wonderful show business stars. One of these is the Swedish magician Nathan Leipzeiger, better known as Nate Leipzig. He was born in Stockholm on May 31, 1873. It is suggested that his parents were Polish or Russian and his interest in magic began sometime in the late 1800’s when he saw a birthday party magician. He studied magic books, earnestly believing that magicians were self-taught and rather than using the methods they found in books, they developed their own methods. Because of this, better known as Nate Leipzig began to amaze not only his lay audiences but fellow magicians as well. Leipzig became one of the early pioneers who used common everyday objects for magic rather than fancy boxes and cabinets and gadgetry. Initially he was an optician, but he left this profession to become a full-time performer. One of his early creations was the Coin Roll with a silver dollar that rolled not only across the back of his hand, but also across his palm. T. Nelson Downs (known as the King of Koins) was highly impressed with this effect. The Japanese magician TenIchi even traded his version of the Japanese Thumb Tie for Nate’s Ring on a Stick routine. 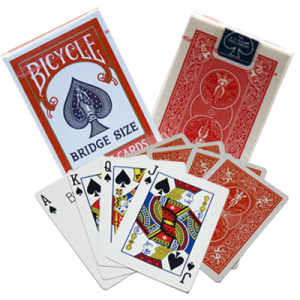 Dozens of card tricks and card sleights are attributed to Nate, like a version of the Cabaret Card Stab, the Side Steal, and his Rising Card effect. His levitation of a coin inside a glass of beer was quite special, too. In 1901 he was approached by a rag painting act performed by Alex and William Berol for a partnership that he accepted for the experience. But after two years, he decided to break into Vaudeville by filling in for stage magician Warren Keene in New York City’s Proctors Theatre. His act consisted of sleight of hand, manipulation, coins, and playing cards. The famous theatrical agent William Morris was so impressed with Leipzig that he immediately offered him a contract on the Keith Vaudeville Circuit. The Keith Circuit Agency was the largest and most successful theatrical agency at the time, but this did not deter Leipzig from negotiating a higher salary. In 1906, Nate Leipzig, who had a commanding and pleasant stage presence, decided to tour Europe and added a thimble routine, billiard balls, torn and restored cigarette paper, cane, and silks with card manipulation to his act. Being innovative, he also included the use of a Vitascope machine, an early version of the movie projector. Using this, he was able to project his hand magic onto a large screen, allowing him to perform in larger theatres. He introduced magic tricks like the Rising Cards, tricks with knives, matches, walking canes, cigars, and even his waistcoat and common everyday objects. He so impressed his audiences and even other magicians because he used different methods that were unknown to his colleagues. He was a very original performer, and although he was not a humorous or comedic magician, he did present the image of a more sedate, gentleman entertainer. Nate Leipzig performed for two British kings, as well as a Spanish and Danish king. Queen Eugenie wrote about him, “Leipzig’s conjuring tricks puzzled us all.” He was acclaimed by famous critics as “the king of card manipulators and the most expert prestidigitator in the world.” He was a clever raconteur and befriended and helped many fellow magicians who were less fortunate. He always made time for even amateur magicians. After a very successful European tour, Nate Leipzig returned to America but soon left for England in 1908 seeking more engagements. While touring the UK, he met and married his wife Leila. For the next few years, he continued to travel the world and returned to America just before the outbreak of World War I. Because of his rather ‘German’ sounding name, he was forced on occasion to bill himself as Nat Lincoln. With the advent of war, there was a decline in Vaudeville as movies began to become prominent, so Leipzig changed direction and began to accept bookings for private functions. He remained one of the most original and influential magicians of the time. Leipzig finally took in three students that he taught and shared his magic with. They were Roy Benson, Fred Keating, and John Scarne who all became well-known in their own way. 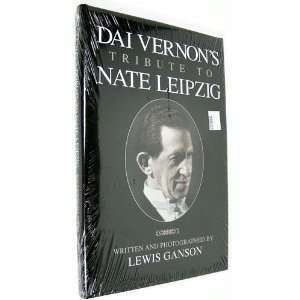 Leipzig also influenced Professor Dai Vernon, who wrote with Lewis Ganson the book Dai Vernon’s Tribute to Nate Leipzig. It acknowledgement what Nate had contributed to the art and craft of magic during his career. One of the most important lessons Nate Leipzig passed onto his students was to never ever embarrass or humiliate a volunteer. Nate also believed in a natural approach to magic and felt that fancy finger flinging and flourishes were unnecessary in the execution of magic tricks. His obvious exception was the famous Coin Roll, which is somewhat enhanced by a flourish and a little showmanship. Nate Leipzig became the first magician to be presented with the gold medal of the London Magic Circle for Supreme Skill. He became a president of the Society of American Magicians as well. Nate was also an enthusiastic member of the exclusive Lambs Club, America’s first professional theatre club established in 1874. 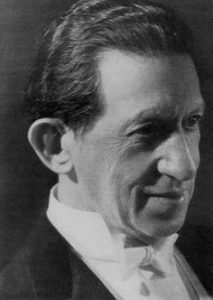 Nate Leipzig passed away on October 13th 1939 but his work and mark in the history of magic are faithfully recorded for future magicians to learn from. He lies buried next to his wife at the Mount Hope Cemetery Hastings in Hudson, New York, which is maintained by the American Society of Magicians.